iOS 7 beta 4 was just released a week ago and we are already on the 5th beta of iOS 7. iOS 7 beta 5 was just pushed to the iOS Developer Portal with a build of 11A4449a. 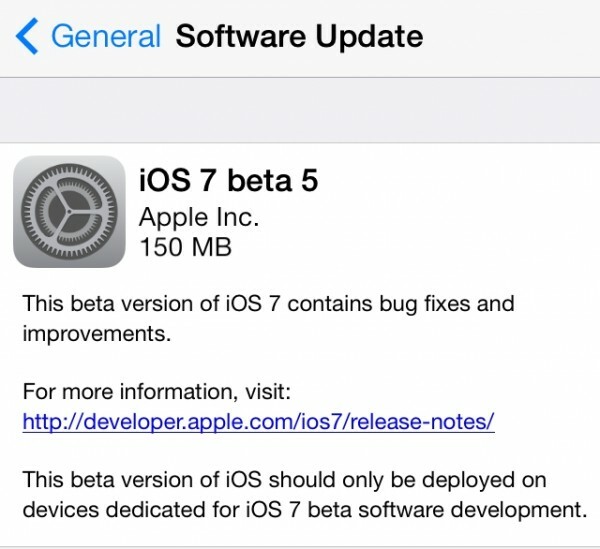 iOS 7 is scheduled to be released very soon so there should be a Golden Master of iOS 7 released within the next month. Along with this release is another beta of Apple TV.